You don’t have to spend the day at a full-service spa to get a dose of pampering. Thanks to some innovative thinkers and their specialty beauty franchises, you can add a little luxury to any day— without breaking the bank. Services like massage, waxing, blowouts, and lash extensions are available in shops that hone in on just a handful of beauty offerings. They are affordable and accessible— you’ll find them in big cities, small towns, as well as suburban malls and shopping centers. The industry’s new direction has a lot to offer potential franchise investors. Instead of being a jack-of-all-trades, you can invest in a business with a single specialty service. The benefits? For one, lower overhead. Specializing also makes for easier hiring and training, and many beauty-service shops offer membership packages—a built-in model for repeat business. But don’t take our word for it. 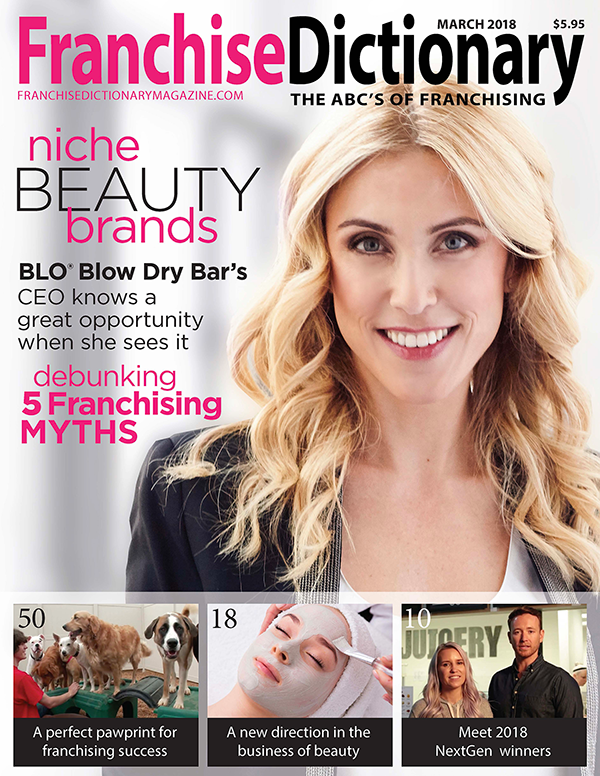 Here, industry leaders talk about the advantages of niche brands and what business ownership looks like for potential franchisees. In 2001, Yakobson and husband Ari, along with business partner, Paul Spindler, discovered Blo®, which had been founded in Vancouver, Canada, two years before. Blo® was North America’s original blow-dry bar. “When we first learned of it, there were three locations. We acquired it, turned it into a franchise system, and began to expand,” she says. Celebrating the sale of the 100th location, Blo® has seen strong year-over-year growth as this fast-growing beauty category attracts customers with convenient, affordable blowouts. No cuts, no color: Just wash, blow, go. Guests choose from signature styles featured in the Blo® “Hair Menu,” from smooth and straight to runway-inspired curls. “You don’t need to be an experienced business person to be a Blo® owner, and you certainly don’t have to come from the hair industry. We look for people who are excited by this innovative business concept. We want partners who love to deliver a service that makes clients happy, who are comfortable representing the business for marketing purposes, and who find it rewarding to manage a team,” she says.